There are 103 posts in this topic. You are on page 1 of 3. They are being picked up. We saw the pictures and videos. Let's get the real talk going. Why not. If Stern gets threads for Ghosting and issues so should MG if the few want to talk. I didn't see pics. Is that in the JPop thread? Link? Pics and vids are around. The Zidware website has some of the train wreck. From the Zidware site. There are a few navigation issues. that looks incredibly boring from that video. Agreed. And I'd rather listen to nails on a chalkboard than the noise coming out of the speakers on this clunker. Compared to the newly released Alien gameplay vid it is no contest. Gameplay looked terrible in that video. The only shots even made were the center spinner and the right scoop. Everything else just clunked around for a minute and a half. You'd think they'd want to film something better than that and at least hit some ramp shots and make it seem playable. To be fair whomever is playing the game appears to have the pinball skills of a toddler. Pretty ridiculous to draw any conclusions from that short clip. Brakage isn't even a word. That guy is a stalker, I can't even get him off my myspace page. Seriously though where are the unboxing and gameplay videos already? Probably JPop... it's his clip. Just like it must be him throwing the ball at the slingshot and watching it machine gun after the ball is long gone. I believe you are both correct. What spare parts are people ordering along with MG, and how much are they? Future proofing this machine is going to be an issue. I don't think you'll have to worry about spare parts as the game supposedly isn't fully functioning. 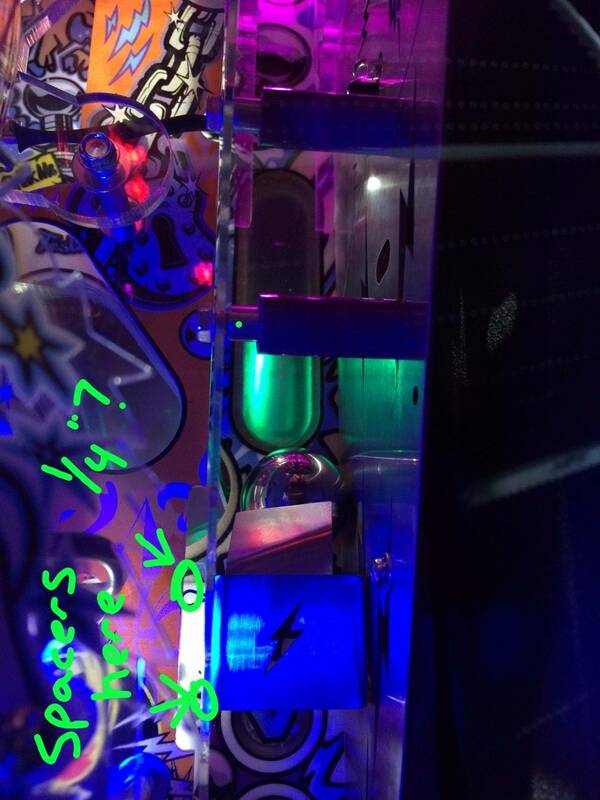 Rumor is that the software and playfield features are in a similar state to what it was when it was shown off at that show last year. That's why the current gameplay video didn't show anything of value. Basically a box of lights that flips. Anyone pick theres up yet? Rumor is a couple people have. Cointaker is attempting to get highest bid on FB already. It was linked in the other MG thread. Glad you noticed the machine gunning also. The guy finally posts a small number of video clips and this is what he wants to showcase? we probably wont see any reviews for a while then? Pinball News posted a video. Most of the display is in a rectangle in the center as it is was a DMD?!?! Is this a Last Year video? Pinball News posted a video. Most of the display is in a rectangle in the center as it is was a DMD?!?! That's an old video (June 6,2015) made before the MG prototype was displayed at the Northwest Pinball and Arcade Show in Tacoma, WA. So there's a spinner and a loop? Great game! That IS the prototype from the show. There's been some tweaks to the final game, but knowing the programmer was not involved, nothing serious was changed. That's the game. I was just updating ,y post to ask if this was a last year video. Thanks, I thought it might be while watching. It had gone up on the Facebook unboxing thread. I'm sure we will get fresh stuff this weekend. I can mount my laptop lcd on the playfield and the minion pinball is a big screen lcd dmd all of a sudden.. 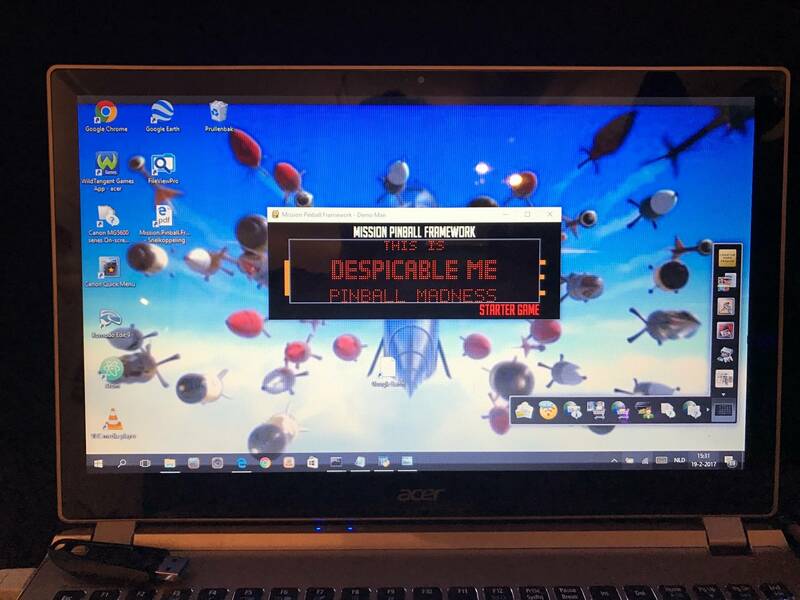 This is simply what you see on your laptop when the minions pinball is showing it's mpf attract mode. That spinner mounted in the ring might look cool. But I cannot imagine this can hold up. It looks to be mounted off a post so snapping down would be possible. But the spinner assembly itself is screwed to ring. The ring itself looks delicate but now with two weak spots created by drilling and using it to suspend an assembly made to get hit is bad. I am not a plastic expert, but the tiny washer on top cannot be enough. According to his website, all the light shields and plastics are made of lexan. I'm not saying that they won't ever break, but lexan is the stuff they use of fighter jet cockpit windows to keep bird strikes at mach speeds from destroying it. I think if the parts on MG are truly made from lexan, then it'll be pretty strong. I doubt we'll see much video of gameplay. Has anybody even made a ramp shot? Maybe playing with the glass off will be the way to play this pin. This isn't even about that i don't think. Has Jpop met the minimum requirements to stay out of jail? Deliver some games. And then say, "I'm on to Raza next". 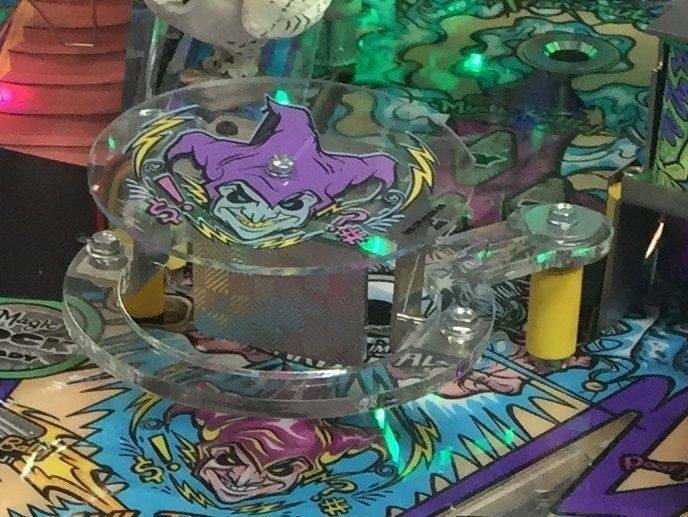 The buyers of this pin and Raza and AIW did so expecting we would have a great new Jpop original from a guy that just wanted "to make great pinball" and "innovate in ways never seen before". What's left is really none of that. Just the stay out jail effort. But then people don't really buy BBB because its a great pinball machine. They mostly buy it as a "collector". People are afraid to play because they might put a dimple on it. How many BBB's do you always see for sale, "low plays", "less than 200", etc.? MG will trade hands between "collectors" for whatever they think its worth. Playing the pin will have little to zero impact on it. Cointaker is smart to take advantage of selling MG as soon as the box hit their warehouse. The hype will never be greater than it is today. Once Jpop finally fails with Raza and Aiw and Zidware fades into bankruptcy, time will erode the appeal of the moment. ... But then people don't really buy BBB because its a great pinball machine. They mostly buy it as a "collector". People are afraid to play because they might put a dimple on it. How many BBB's do you always see for sale, "low plays", "less than 200", etc.? 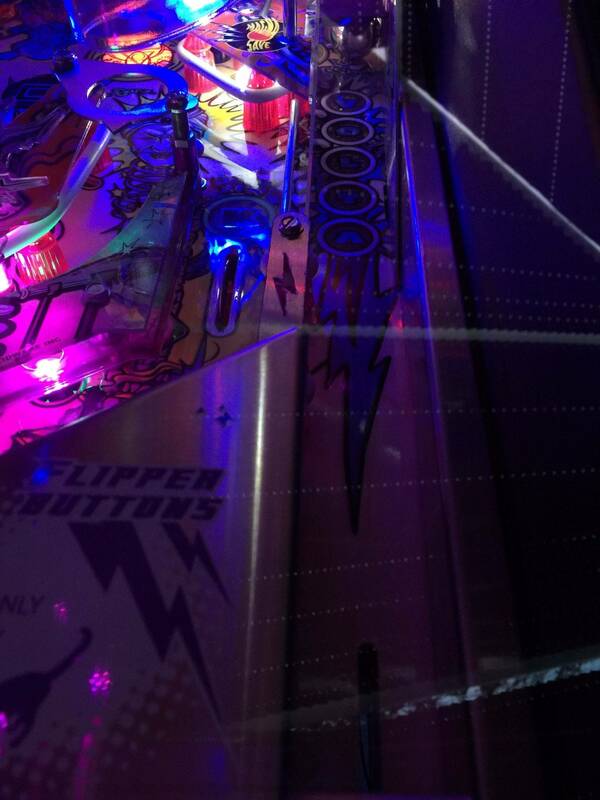 Actually, there has been a BBB setup to play at Pintastic. Sorry I forgot who brings it, but it gets set to $2/play with money going to charity. I have a Pinball Magic so I know the build quality on Capcom pins is pretty darn good. Yes...and sadly for pinball collectors who aren't loaded, it makes Stern's pricing structure not seem so bad anymore. Says everyone who has ever commented to any preliminary game video on Pinside. So to avoid legal repercussions, they threw together some machines with decent build quality and very basic code just to get everyone to shut up. That is one school of thought. JPop does not want to end up like Kevin. This shows he has made a real attempt to deliver games to customers. So now if he declares bankruptcy it is just a failed business not a scam to get money with no intention of ever completing. JPop complained about the tax burden on Nate's C2C show. So if his paperwork is in order and he can prove he pissed everyone's money away noodling around the shop for years he won't go to jail and can walk away from the rest of his obligations. There also ends any support for the few MG games bound to break. Pretty much everyone loses. Funny thing is John is delusional enough to think these games are proof of his worth to the pinball community and might actually think it is a come back. There a bbb on location in NYC and one in NC, for years. It's a fun enough game. I understand that emotions run deep here on Pinside, especially to those with the proverbial skin in the game. But none of us really know how the game plays yet. I am sure that there will be more video to come soon. 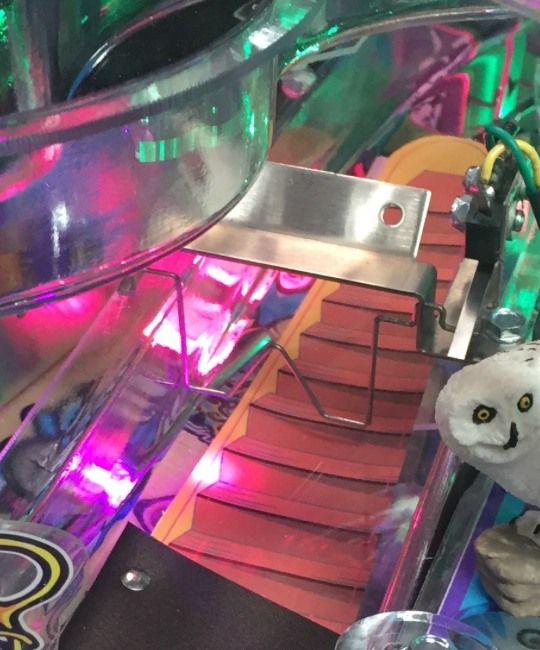 Perhaps a pinball wizard such as Edgy Levi will bless us with his talents, and it will become apparent whether MG is a good game or a box of blinking lights. I'm allllllmost willing to bet that if the game is even remotely decent, JPOP will be creating more pins. And people will buy them. Has there been any shots/silverball activity in the back 3rd/top birthday cake-like ramp setup? But you can buy one from cointaker for $45K and find out for yourself. Tempting! The main spinner is readily available part..the plastic looks simple enough for someone like Pinbits to make (or better yet Cliffy can make the hoop out of stainless steel). I could be wrong on this but to me the biggest issue is the spinner assy blocking the left ramp. It's making the ramp shot almost impossible. It either needs to be removed altogether or moved to the left. Is the playfield art and overlay? In the video near the flippers it appears to flatten out as the ball goes near. That video ended up being from last year. The only "current" stuff is on the Zidware website links. We only know of a few people that have picked up so far and are hoping for some good video / reviews soon. But all accounts have said it is an unplayable mess. 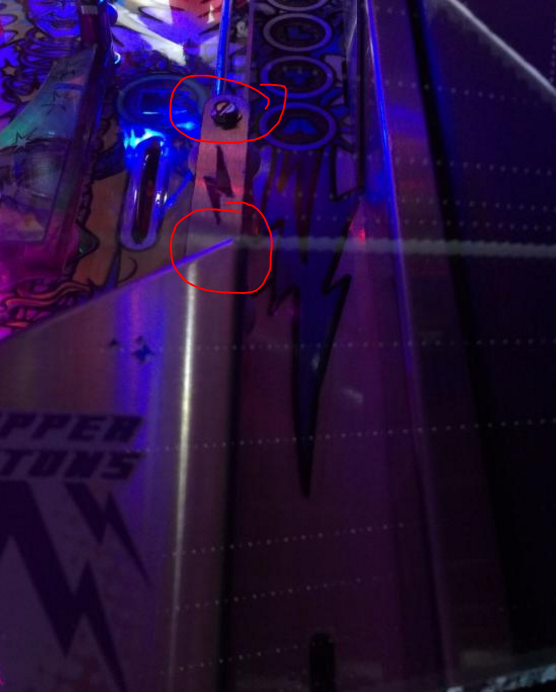 In the past year he has not fixed the shot geometry (because he did artwork and not white-wood) there are still ball hang ups and just generally has not been fixed since Pintasia pulled back the curtain. Good-bye John. When I play your games I will be glad you don't make money off them anymore. Whatever you have in your pockets from pinball at this moment is the last you will ever get. Poll question. If you owned one of these would you actually play it? Hypothetically, hells yes I would! Oh I'm pretty sure all of those are going to come to light pretty quickly.